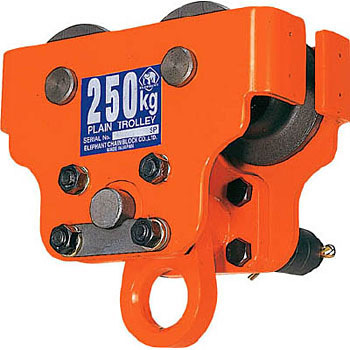 It is the only trolley available with 50 mm H-steel rail and cheap. Because it is a private residence, there is a physical limitation that the rail that can be installed on a ceiling beam by one person has a limit of 50 mmH steel, and it is also necessary and sufficient. I would like to tell people of the same kind how convenient it is to have an electric chain block with trolley in the work room. This review is about item#39585174. It moves smoothly. It does not attach to H - 125 x 60. This review is about item#39585183.